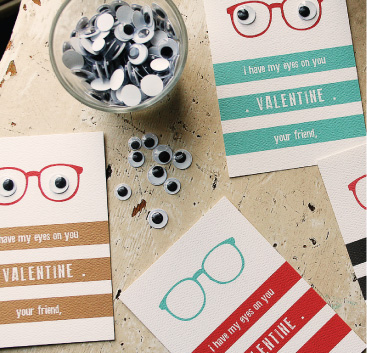 Googly eyes make everything more fun, especially these cute printable valentine cards. Such a fun card for kids and I am thinking my little girl, who is starting to not love her glasses, might fall in love with them again if she gives out these cutge 'I have my eyes on you' valentines. You can download these googly eye valentines and two other printable valentines over at Armommy.